According to Bored Panda, Zitt is so well-known for his lectures on sci-fi staples like Star Wars and Star Trek that he tours to university campuses around the globe. In 2008, the nerd cred he’d acquired afforded him the opportunity to write the preface to the book Star Trek In Germany along with Gene Roddenberry’s son. Clearly, though, Zitt has plenty of room in his heart for two sci-fi franchises, as proven by his standing shrine to the galaxy’s favorite droid. 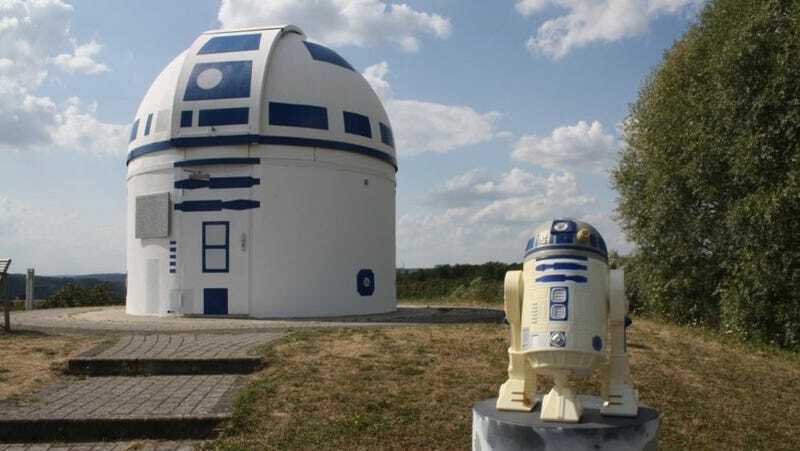 Of course, Zitt and his team aren’t the first to realize that observatories tend to resemble R2. Back in 2010, the Goodsell Observatory in Minnesota completed a similar make-over, though with admittedly less-than-stellar results. The lesson here is, if you’re going to go full nerd, make sure you can stick the landing.